In the face of evidence of how austerity is contributing to rising income inequality and political instability, we must persuade governments to support the UN's new Guiding Principles on human rights impact assessments of economic reforms, writes Mark Perera for Eurodad. A decade on from the onset of the global financial crisis, it is hard to ignore the mounting evidence that austerity economics have had a corrosive effect on the enjoyment of human rights across the world. From Argentina to Greece, South Africa to the UK, the costs of severe fiscal consolidation have been disproportionately borne by society’s most vulnerable. For observers of the impact of IMF and World Bank ‘structural adjustment’ programmes across the Global South in the 1980s and 1990s, this is far from revelatory. Despite this, what we have seen over the past ten years is the widespread acceptance of austerity as the orthodox response to a domestic economic or financial crisis, and it remains the modus operandi in the policy conditions attached to IMF loans. However, austerity-based fiscal consolidation has been applied even in countries which escaped the effects of the global financial crisis, for pre-emptive reasons – essentially to avert negative speculation in financial markets – and with the aim of securing increased investment and growth. The result, as the ILO have estimated, is that austerity will affect close to 80% of the world’s population by 2020, hitting people in developing countries hardest. Since 2008 delivery on international human rights obligations and development priorities, such as the SDGs, have had to be the sacrificial lamb on the altar of ‘sensible’, pro-cyclical fiscal policies – not least in response to the Eurozone crisis. Yet global GDP growth currently remains sluggish, while debt levels are at unprecedented highs across the globe. Indeed, research co-authored by a former US Treasury Secretary in fact suggests post-crisis fiscal consolidation has permanently depressed GDP growth in advanced economies and has been ‘self-defeating’ with regard to restoring fiscal sustainability. Policy-makers cannot continue to ignore the social and political costs of their economic choices. International and regional monitoring bodies have been clear that states must abide by their human rights obligations when designing policy responses to economic and financial crises. But the complexity of balancing the aims of fiscal sustainability and macroeconomic stability with protecting and fulfilling universal human rights cannot be ignored. Finance ministries are rarely the natural home of human rights specialists. 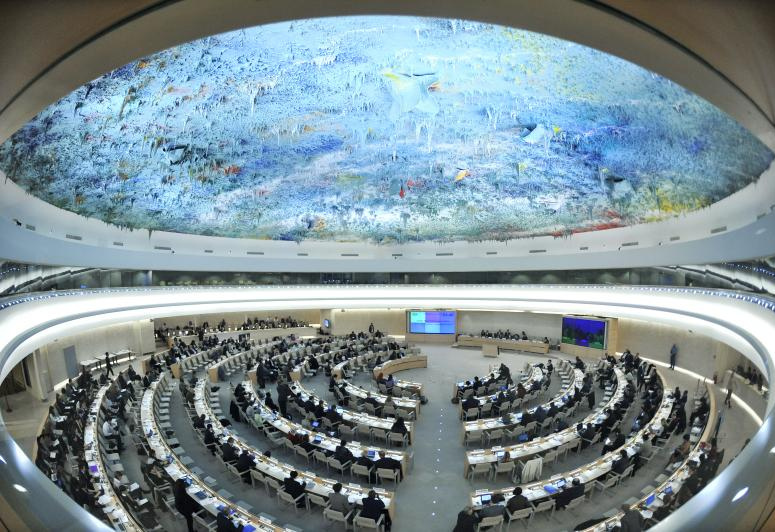 Against this reality, the UN Independent Expert on foreign debt and human rights has presented new Guiding Principles on human rights impact assessments of economic reforms to the UN Human Rights Council. These principles do not establish new human rights standards, but rather serve as a practical tool to help governments and international financial institutions identify credible policy alternatives to fiscal consolidation measures that undermine human rights, both when seeking to prevent and to respond to crisis situations. In non-crisis times, impact assessments can be integrated into regular debt management and fiscal policy planning, enabling findings to serve policy-making that seeks proactively to protect and fulfil human rights. Findings could help to shape debt management strategies to prevent the build-up of unsustainable debt burdens that may jeopardise legal human rights obligations. And in the wake of a crisis, they could serve as a reference point when developing policy responses. This recognises the trade-offs facing policy-makers, helping to identify economic measures that are least restrictive to the enjoyment of human rights. Findings from assessments pointing to adverse human rights impacts should also serve to trigger and inform timely debt restructuring – helping to avoid protracted transgressions as creditors’ needs are given primacy over those of a country’s population. They could also provide a useful evidence base for debtor governments in negotiations with international financial institutions and creditors, strengthening arguments for safeguarding necessary fiscal space for health, social, or education expenditure, for example. Widespread application of the Guiding Principles will require political commitments from governments across the world, and a strong signal from the UN Human Rights Council in its annual resolution on foreign debt and human rights in March will be a vital first step on this path. EU states on the Human Rights Council must take action and lead here, giving robust endorsement to the Guiding Principles and calling on all UN states to put them into use. Such active support would be wholly in line with the principles purportedly guiding EU external action, and member state commitments from 2017 to adopt a rights-based approach to development, and support countries in building resilience to prepare for and respond to economic shocks without compromising long-term development prospects. In a recent joint letter to EU member states and the European External Action Service (EEAS), 35 European CSOs from 15 different EU member states spelled out their backing for the Guiding Principles and called on their governments to do the same. In the face of ever-more signs of how austerity-based fiscal consolidation is contributing to rising income inequality and political instability, failing to endorse such practical steps to safeguard human rights and foster economic policy-making in the service of developmental needs seems negligent. The EU now has the opportunity to demonstrate that lessons from the crisis are being learned, and must use its voice at the Human Rights Council in late March to signal very clearly that debt reduction need not mean a reduction in human dignity. Article: Is a ‘global social floor’ the right path for ending poverty?